Home » AI and Machine Learning » Is Microsoft Adding Xilinx To Its Datacenters? At this point, Microsoft is probably the industry’s largest buyer of Intel FPGAs for datacenter acceleration. It has published numerous blogs and papers about its extensive use cases for the adaptable hardware, from security to search to AI (which I have opined on in numerous Forbes blogs). On Wednesday, October 31, Bloomberg’s Ian King published an article saying what many of us suspected would soon be the case: Microsoft will start deploying Xilinx FPGAs in its future server deployments. I have now had conversations with both firms and I do believe that Xilinx has indeed scored a big win in one of the largest datacenters in the world. Given Xilinx’s technology lead over Intel’s Altera products, and its next-gen architecture, I don’t think this should come as a big surprise. As I covered here, Xilinx recently announced an innovative hybrid architecture, called an Adaptive Compute Acceleration Platform, and its first instantiation, a family of chips built on 7nm called Xilinx Versal. These chips target datacenters with a combination of ASIC-like featuresfor AI and 5G. 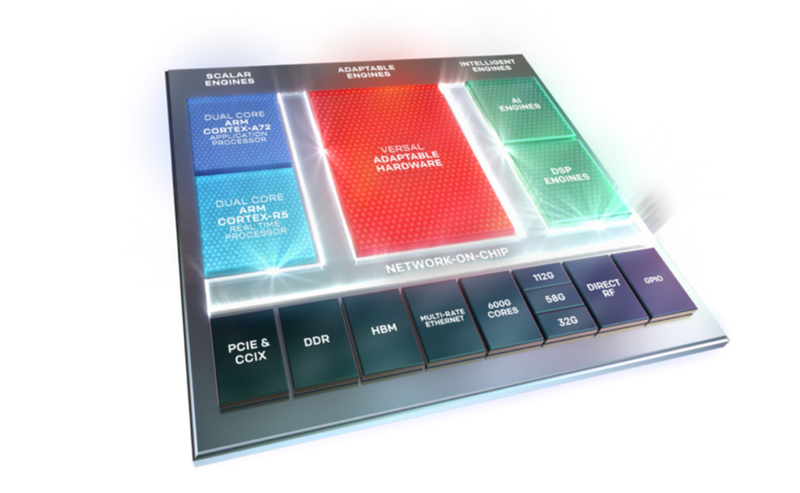 These, along with the chips’ reprogrammable logic, could transform many datacenter applications, and should appeal to a larger audience than traditional FPGAs. Since Versal is not expected to ship until 2019, the Microsoft deal, if it is real, is probably based initially on Xilinx’s current FPGA products. However, I suspect that Microsoft sees a lot of value in Xilinx’s roadmap, and recognizes its lead over Intel’s manufacturing plans for Altera. To get a feel for how big this move is for both firms, consider that Microsoft previously stated that all its Azure and Bing servers across all its datacenters now have (Intel) FPGAs to accelerate a wide variety of workloads. Microsoft built a network topology that provides direct access to a sea of FPGAs installed in its servers to deliver acceleration at extreme scale and very low latency. If Microsoft is indeed switching new servers to Xilinx FPGAs, and I believe it is, this would mean an eventual footprint of millions of devices and servers—even if it decides to stop the deployment at a 50% penetration rate to maintain competition between the two largest FPGA vendors. Stay tuned, but I think this news is legitimate and will have a material impact on all companies involved.